Today is a special day for Cesped: our company is celebrating its 35th anniversary. These 35 years have been and continue to be a succession of successes and constant growth in the world of logistics and national and international shipments. 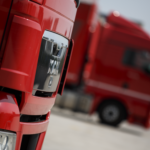 Founded in 1982 as a small shipping company, Cesped today is a company with 400 employees and 12 branches in northern Italy, a rise that has led Cesped to the first place among the companies of road haulage companies throughout Friuli Venezia Giulia. Cesped was born as a road freight forwarder, however its management has been able to understand the market demands and expand its services with an Air & Ocean division dedicated exclusively to sea and air transport, and a personalized consulting service always available to the customer. The service that Cesped offers its customers today is a complete transport package that goes from collection to delivery of any type of goods, without geographical limits. Since the beginning of the year, Cesped has already shipped almost 500,000 shipments worldwide for this year alone, targeting a million by the end of 2017. An anniversary, therefore, is always an opportunity for the balance sheet, inevitably becoming a moment to look back and see how much road has been travelled and to look ahead and aim for the next goal: 35 years of activity are indeed a goal, but we also want to think of them as a starting point for new challenges to be taken up with the enthusiasm that has always distinguished us, at the center of which set as a goal the continuous satisfaction of our customer. 35 years of us, good anniversary Cesped!